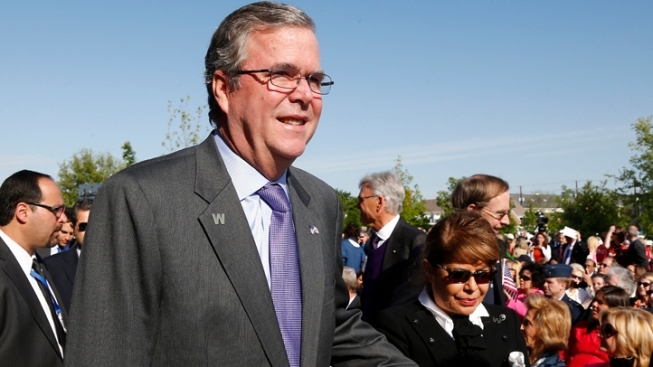 Jeb Bush is playing a starring role in a high-stakes Florida congressional election. The popular former governor appears in a new TV ad to help Republican David Jolly in the race to fill the seat of the late Congressman Bill Young. The spot is funded by the U.S. Chamber of Commerce and begins airing Tuesday in Florida's 13th Congressional District, which includes the St. Petersburg area. Bush says in the ad that Jolly knows how to ``get things done'' in a dysfunctional Washington. Jolly is locked in a tight race with Democrat Alex Sink in the swing-voting district. As the first major match-up in advance of this year's midterm elections, the contest is shaping up to be the proving ground for political arguments Republicans and Democrats hope will resonate with moderate voters. The special election is scheduled for March 11.